The Beatles or The Rolling Stones? 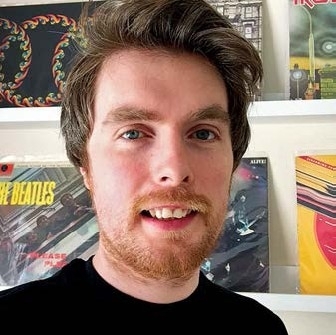 Issue 21 of Long Live Vinyl celebrates the moment 50 years ago when the two biggest bands on earth went head to head on record-shop shelves. 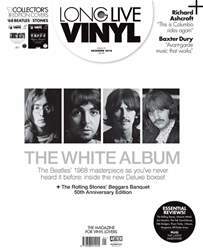 Our cover story tells the inside story of the making of The White Album and Beggars Banquet, while taking a look inside the new Deluxe Editions of both albums – you’ve never heard The White Album like this before! And our special collector’s edition covers enable you to choose either a Beatles or Stones edition – or buy both! Elsewhere this issue, we meet two of the most outspoken characters in the current musical landscape – Richard Ashcroft and Baxter Dury – to hear about their extraordinary new albums, and Heavenly Records founder Jeff Barrett talks us through his remarkable life in music, selecting the records that have soundtracked his career. Tim Burgess sits down for a chat about his O Genesis record label, The Trip visits Liverpool, our Classic Album is A Tribe Called Quest’s 1993 hip-hop masterpiece Midnight Marauders and we round up 40 Essential Laurel Canyon records that should be residing in your collection. If all that’s not enough, we bring you the most extensive range of new album, reissue and hardware reviews anywhere on the newsstand.